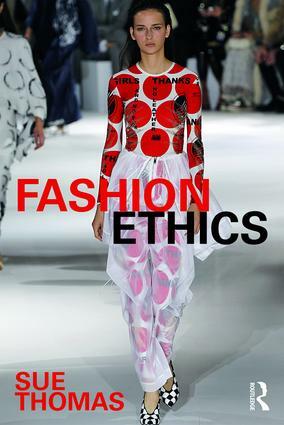 Fashion Ethics provides a comprehensive overview of the ethical issues in the fashion industry, from collection design concept to upcycling and closed loop production. This book answers an urgent need for a comprehensive understanding of the fundamental ethics of the fashion industry. Sue Thomas goes beyond the usual contentious issues of environmental impact and human rights, taking the reader deeper into the endemic issues including sizeism, ageism, animal rights, and the lack of diversity in models and in the media. The book lays out the significant ethical issues within the fashion supply chain by mapping the lifecycle of a garment and exploring key topics such as deep ecology, cultural copyright speciesism, the role of the customer, and technology in future ethics. It also features current international industry information and industry-relevant case studies from brands, media and mobile technology, and NGOs including Oxfam (UK), Redress (Hong Kong), Nimany (US), Labor Link (US), People Tree (UK), and Peppermint (Australia). Fashion Ethics provides much-needed information for fashion students, industry professionals, and customers. "I would recommend this book to anyone who works within or is interested or engaged in the fashion industry. In fact, I reckon it should be required reading for all fashion students, as they (we) are the future of the industry and we need the moral backbone to back up our decisions and their impacts." Sue Thomas is Assistant Professor of Fashion at Heriot-Watt University, UK. Having taught in the UK and Aotearoa, New Zealand, it was in Australia that she began teaching fashion design for sustainability. A public speaker and broadcaster, she champions ethics and sustainability. She contributed a chapter on faith in design in The Routledge Handbook of Sustainability and Fashion (2014).